When Blair, of Atlantic-Pacific fame, posted this leopard + pink + black outfit (almost 3 years ago!! ), I immediately purchased the coat & shoes, and then proceeded to wear them together (outfit here - ignore the scary alley picture, including my neighbors' dumpsters!) - but seriously, does she ever have an off fashion moment? 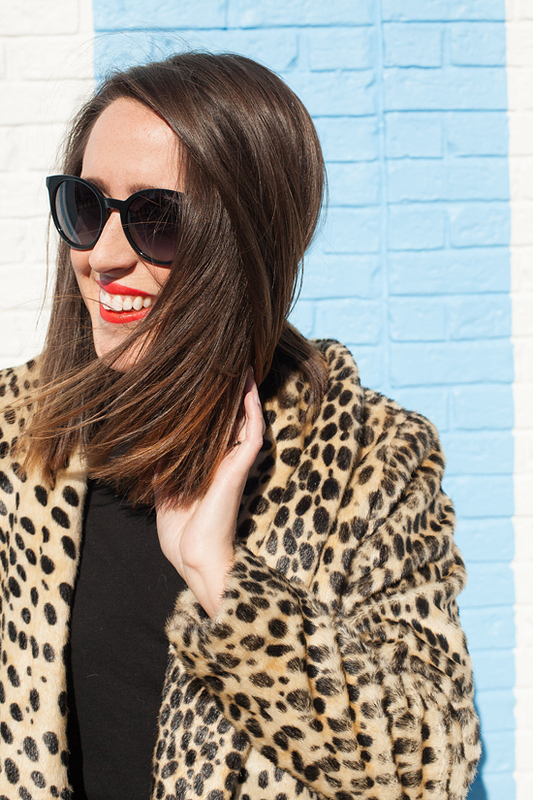 Several seasons later, this coat is still a favorite cold weather piece of mine (linked an almost exact one, plus several similar ones below)! This year, I'm loving it with a black foundation & a touch of sparkle! This "tissue" turtleneck (only $17) has proved to be an awesome layering piece, but if you aren't into having your neck snuggled in warmth (haven't you heard, thanks to Drake, turtlenecks are totally trending! ), I also love this boat neck tee from J.Crew Factory (under $20), or the fancy ruffle on this black tee that totally amps up the chic factor! These sequin leggings are fleece lined & perfect for a night of drinks & exchanging gifts with girlfriends. The exact pair is still available (here, under $30), but I'm also crushing on this dark green trouser version (a total splurge! ), & the gold sequins on this pair (under $25). 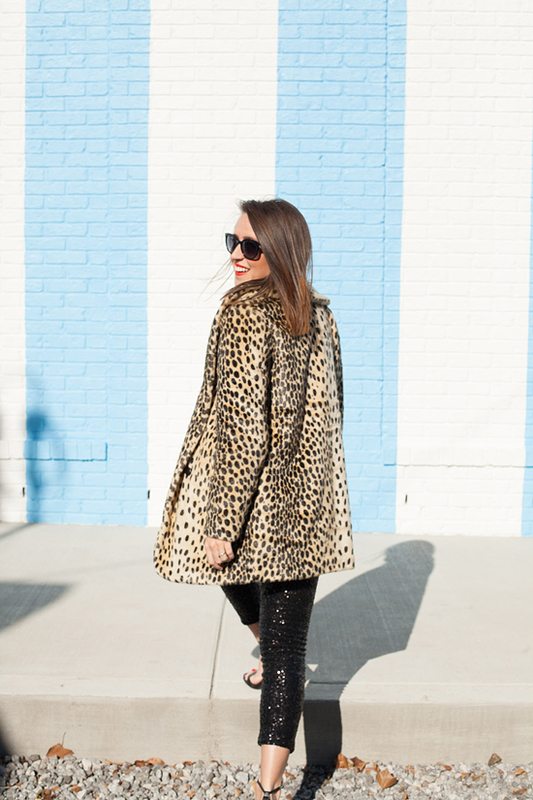 Would you rock a leopard coat or sequin leggings? How about both at once! Don't forget to enter the $100 shopping gift card giveaway -- it's super easy to sign up!